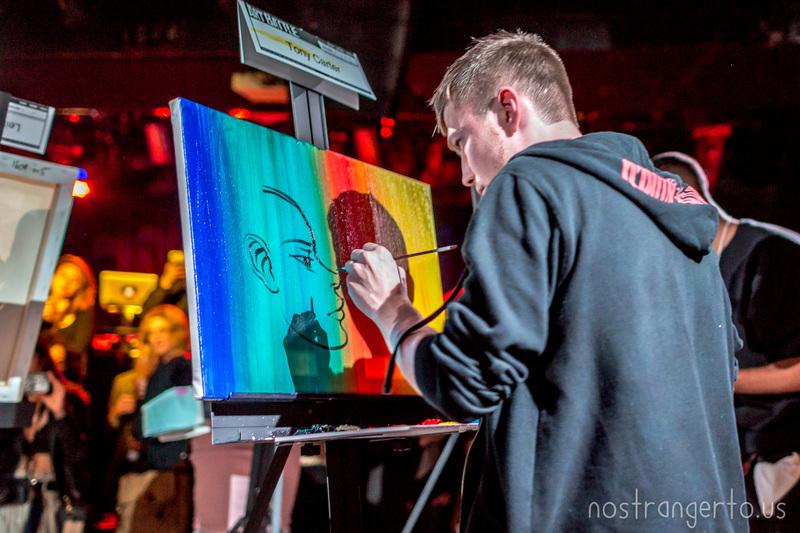 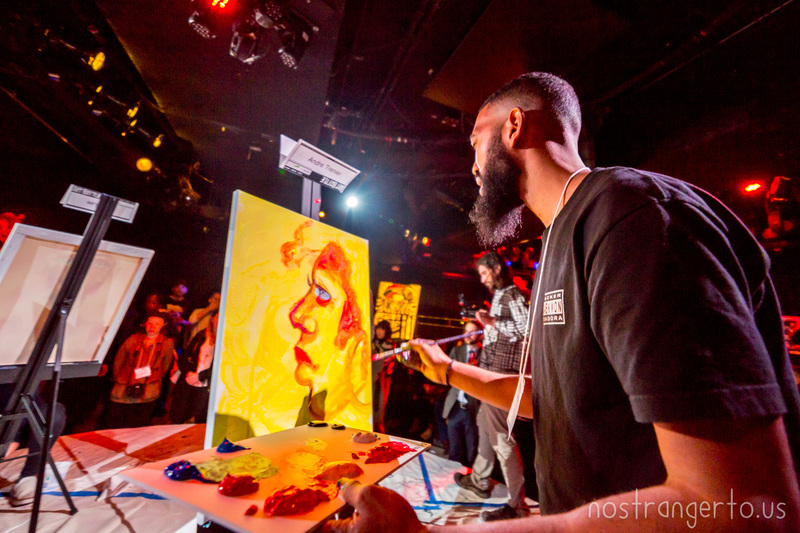 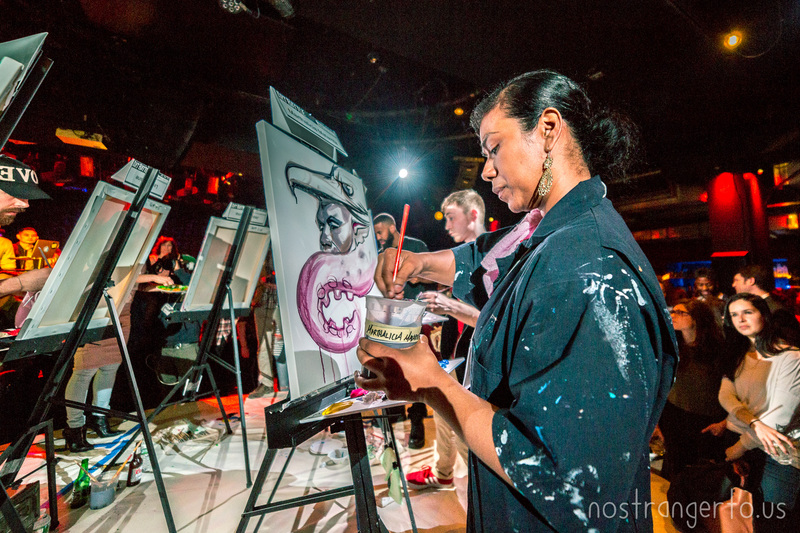 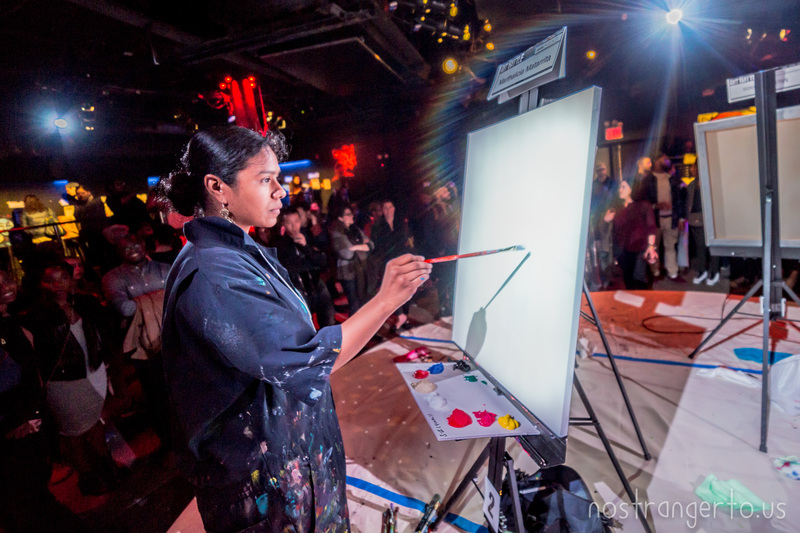 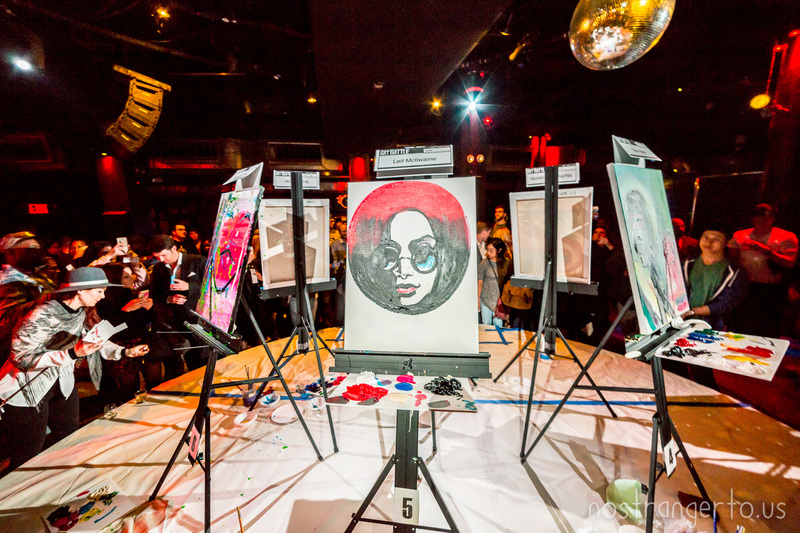 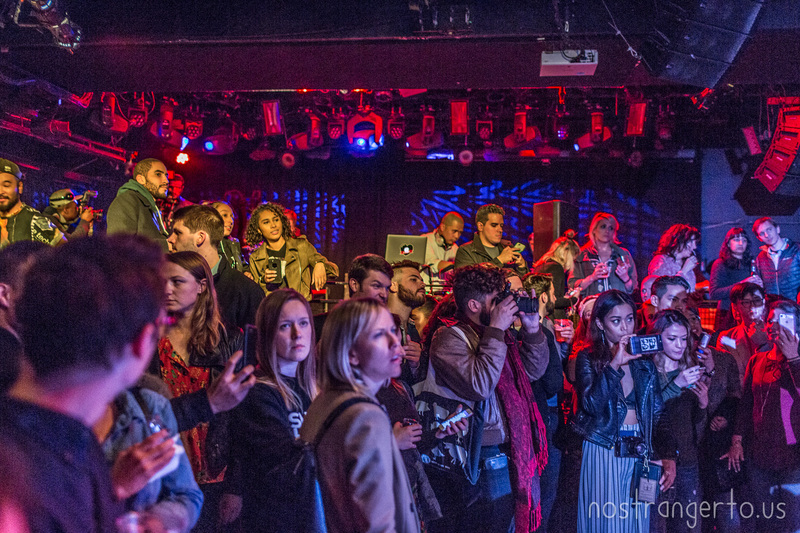 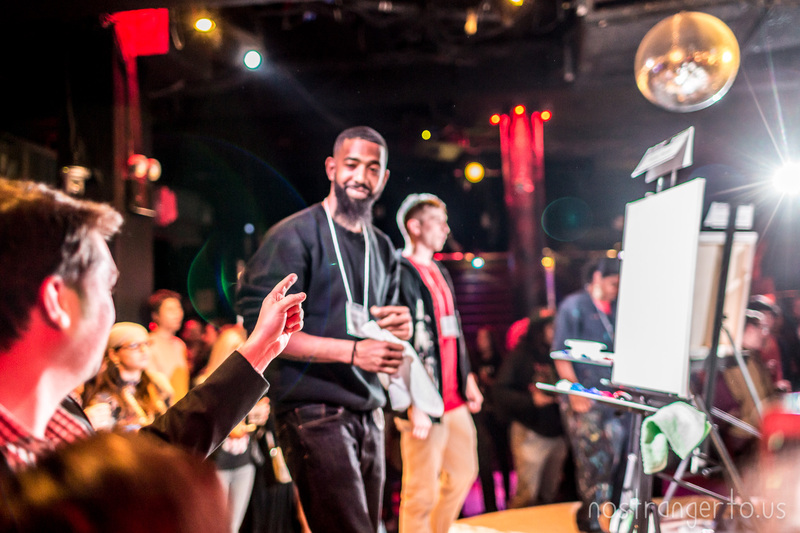 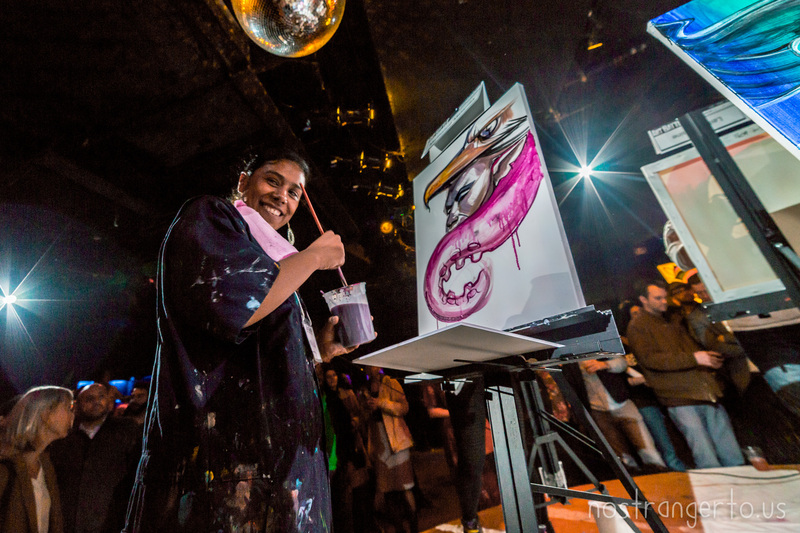 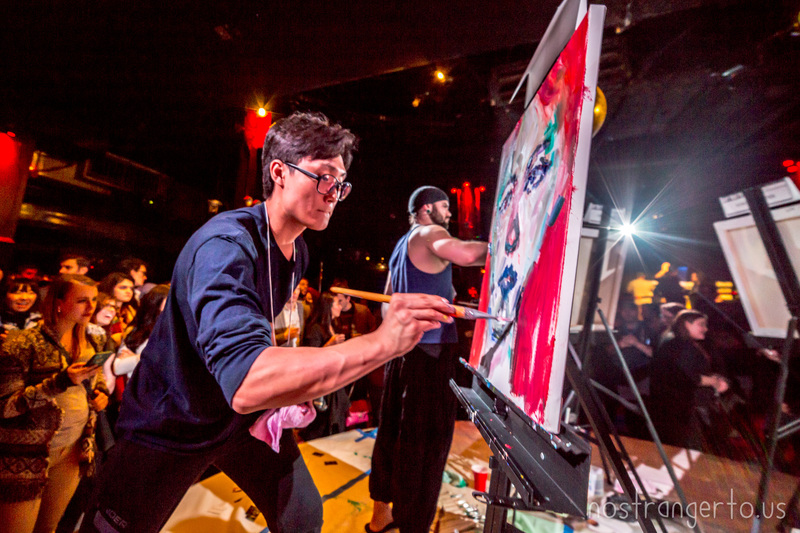 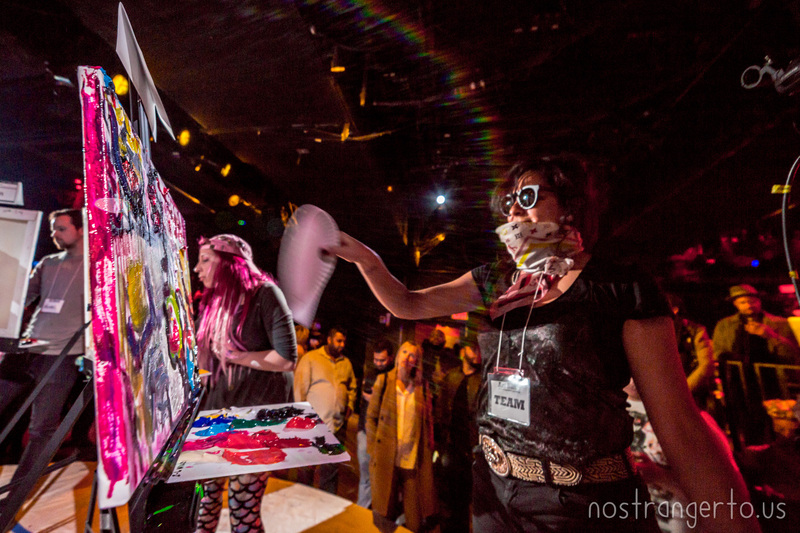 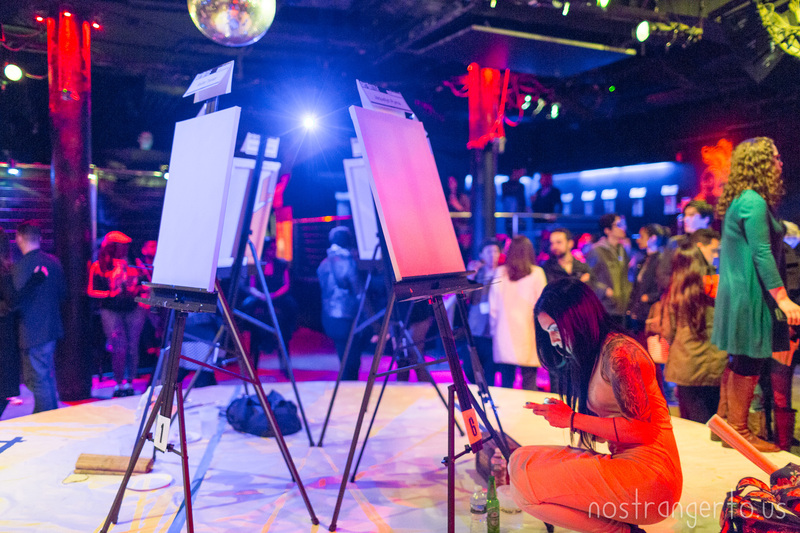 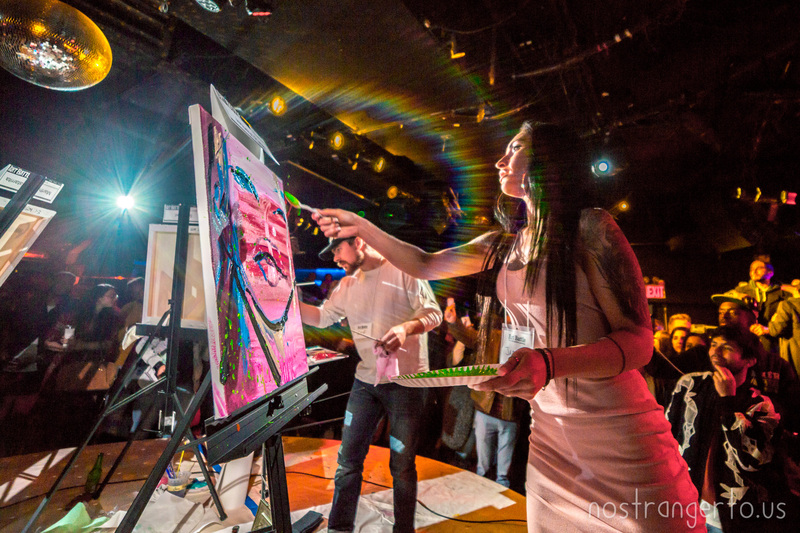 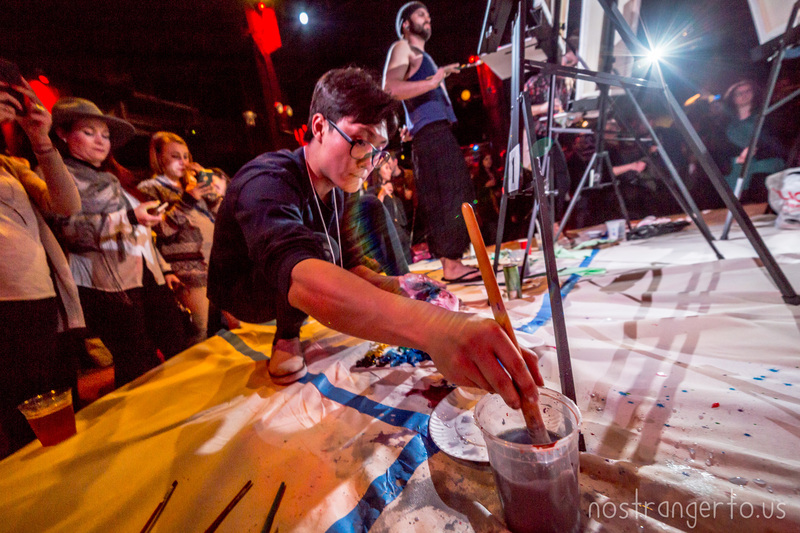 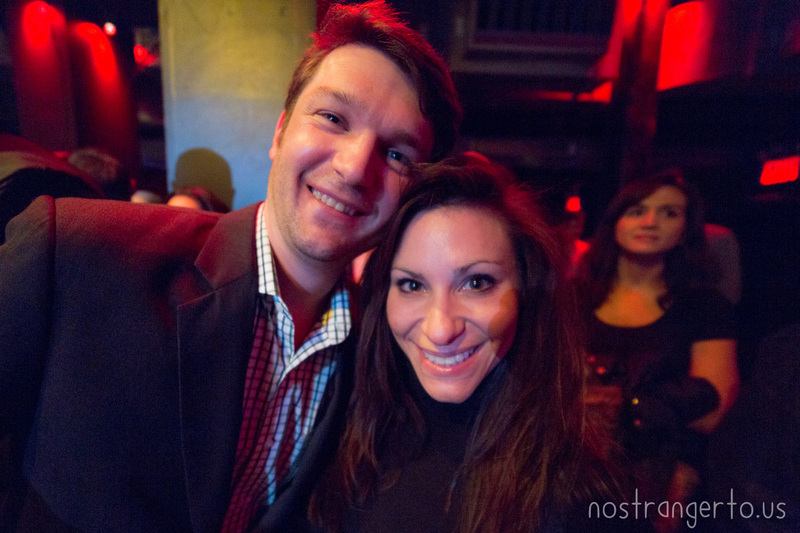 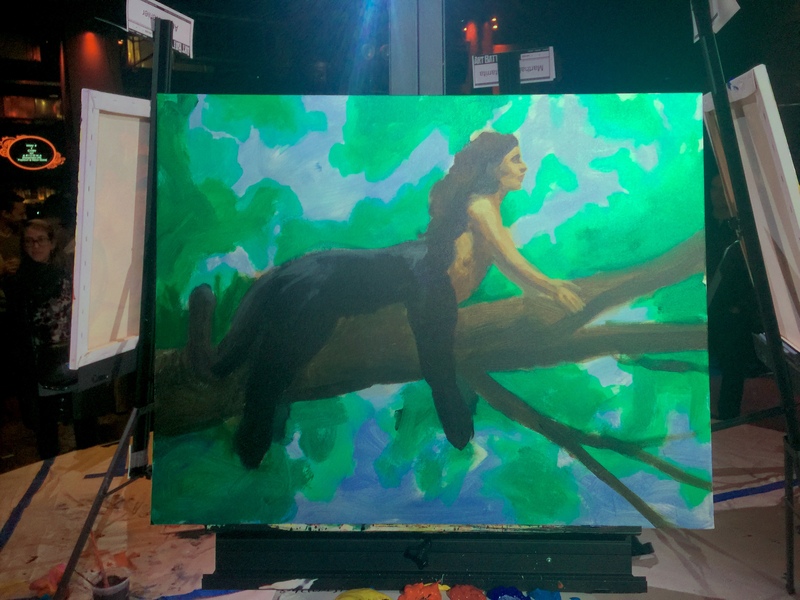 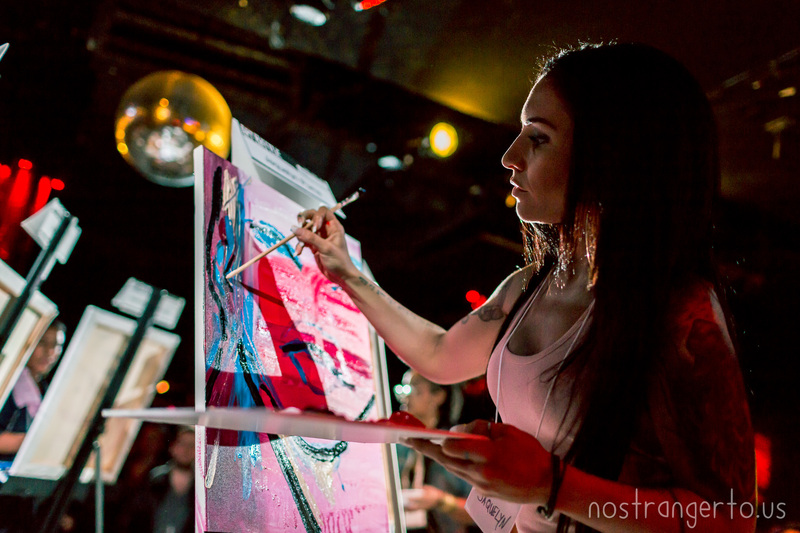 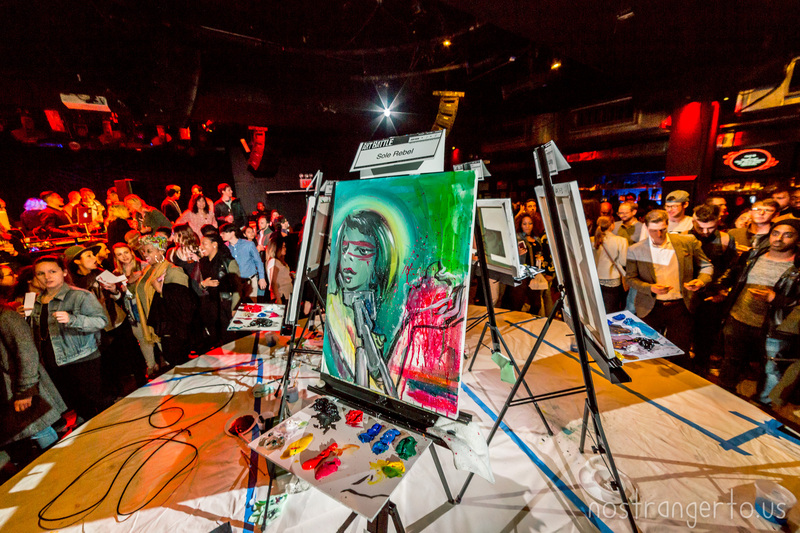 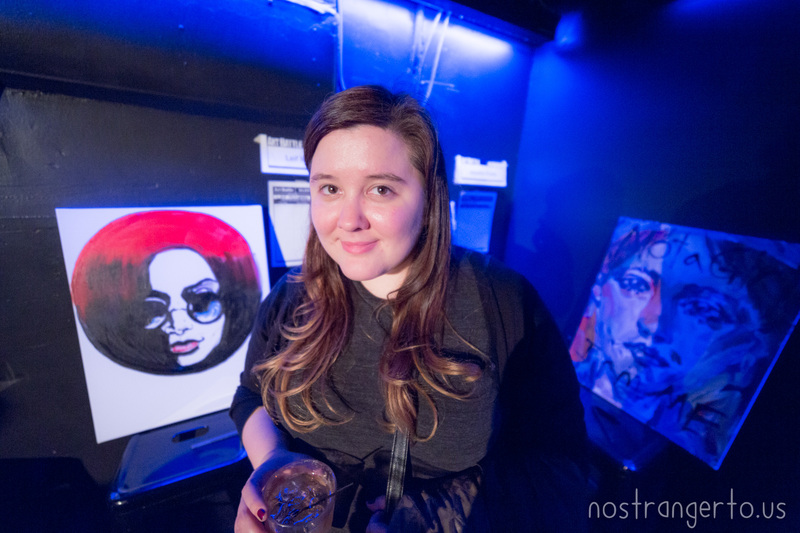 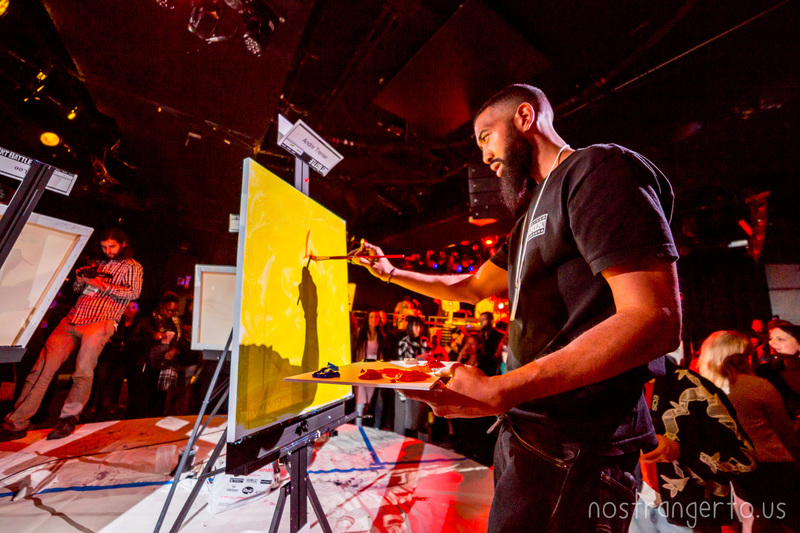 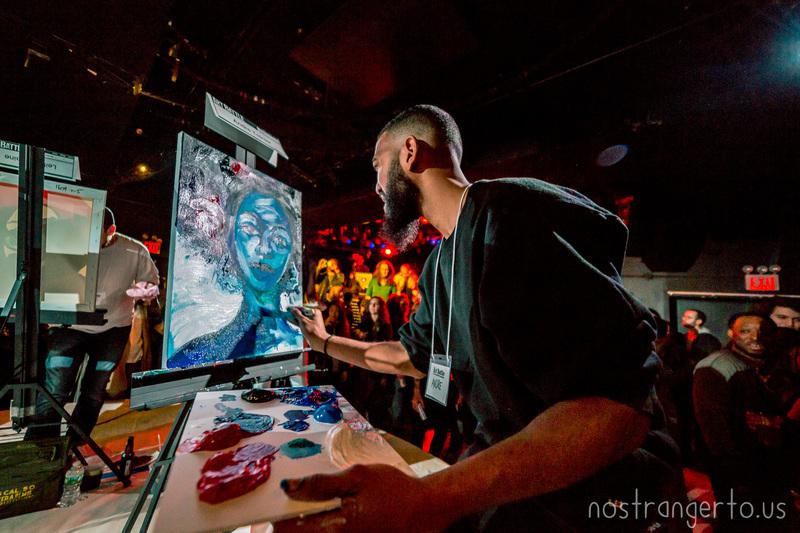 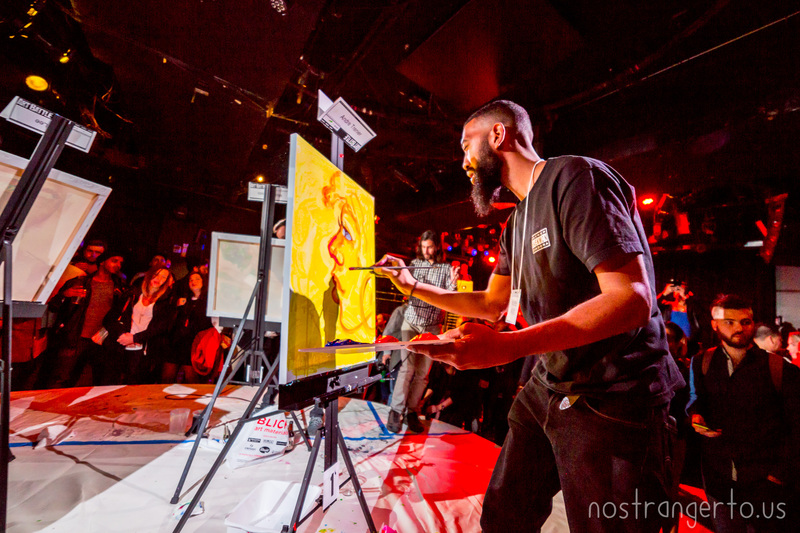 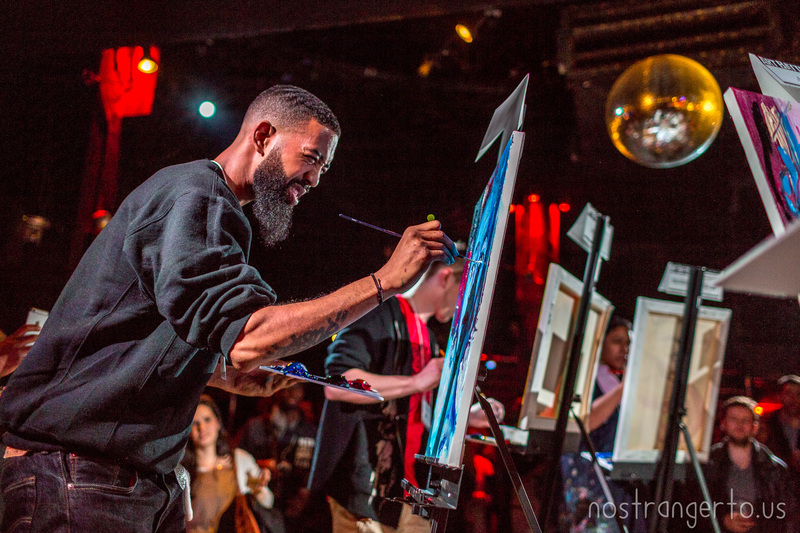 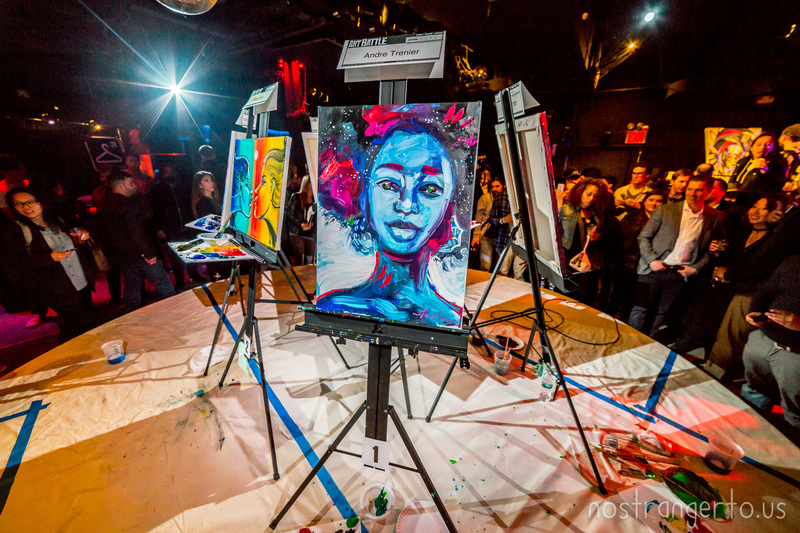 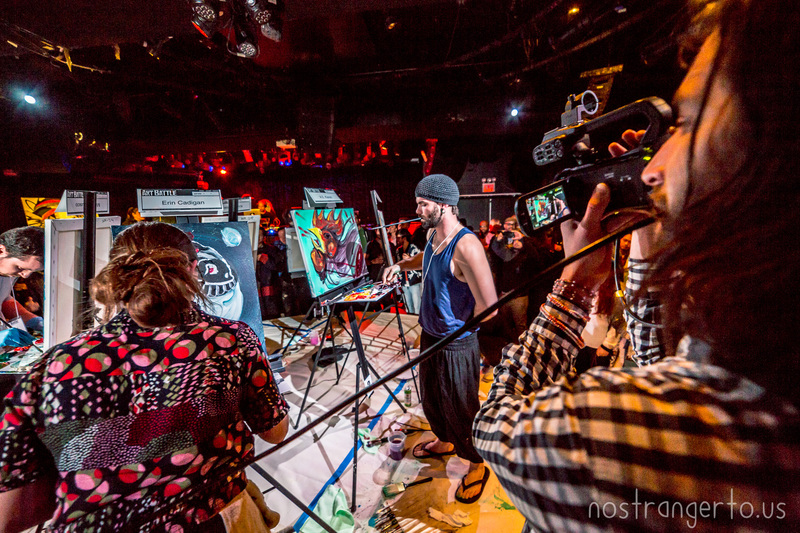 Wow, last night we had a stellar time at Le Poisson Rouge at an official international Art Battle. 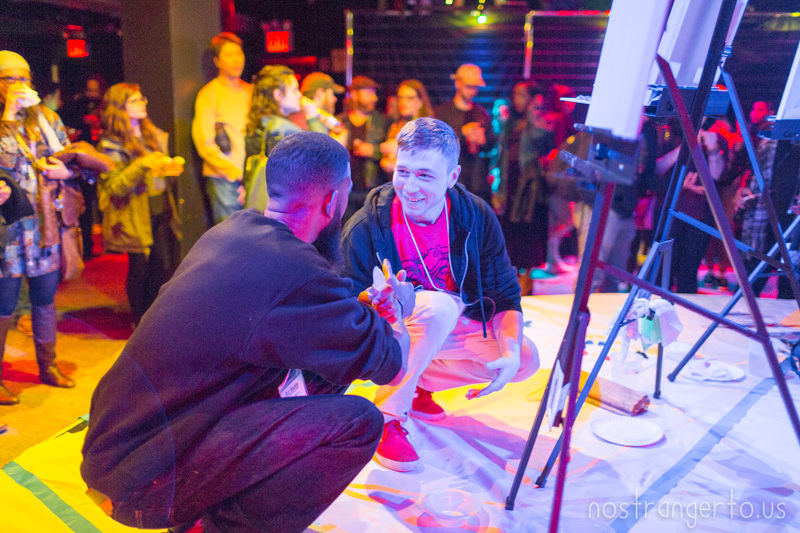 The artists were phenomenal! 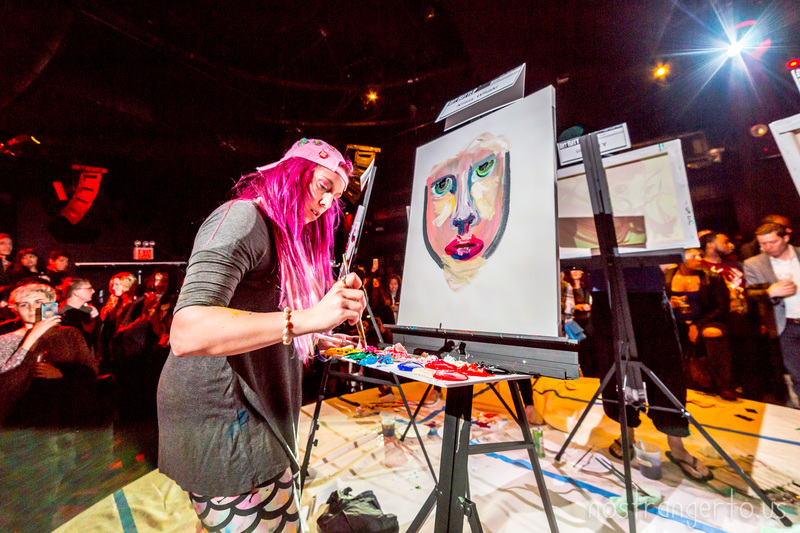 Twelve artists had 20 minutes to compete head to head in two qualifying rounds, the top 2 from each moved on to the final round. 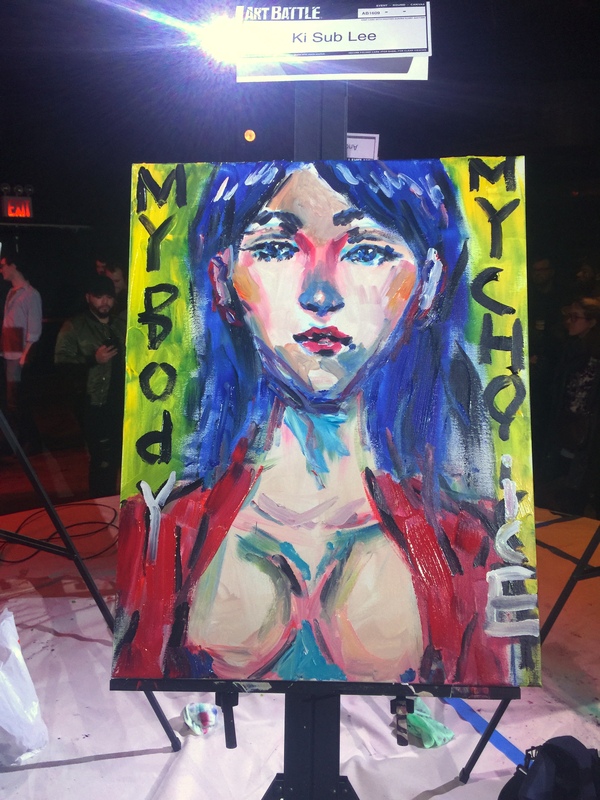 The audience used its tear off ballot to vote, Artist ANDRE and Marthalicia Matarrita were clear favorites in round one. 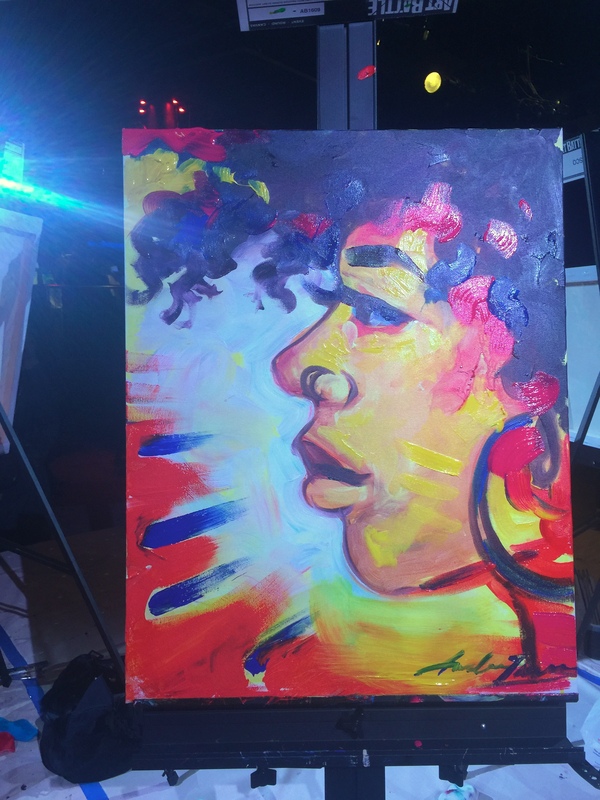 We both fell in love with Marthalicia’s first painting and were locked in a silent bidding war to purchase it. 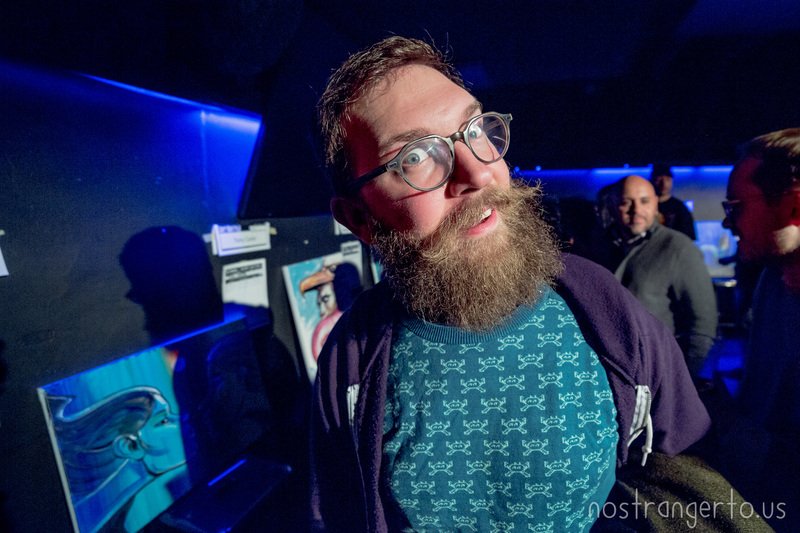 Round 1 also saw Jaquelyn and Tony Carter eliminated but both had a decent showing. 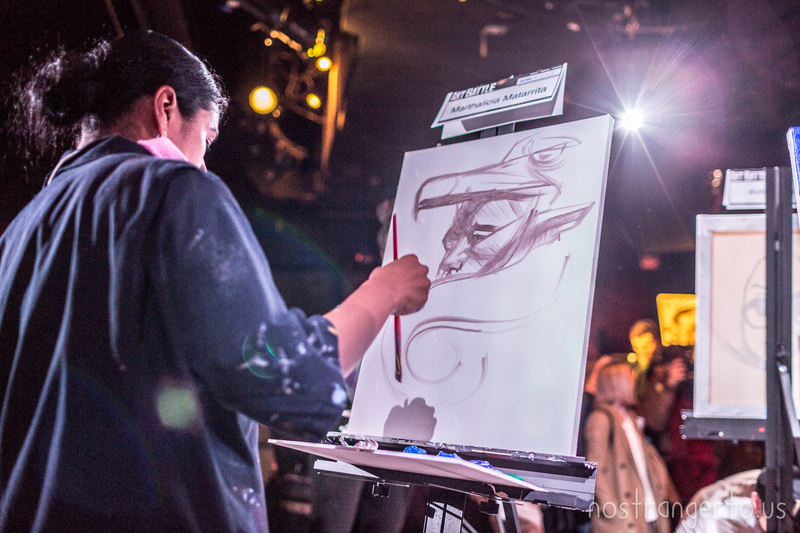 Round 2 featured Ki Sub Lee, Krissy Whiski, A.E. 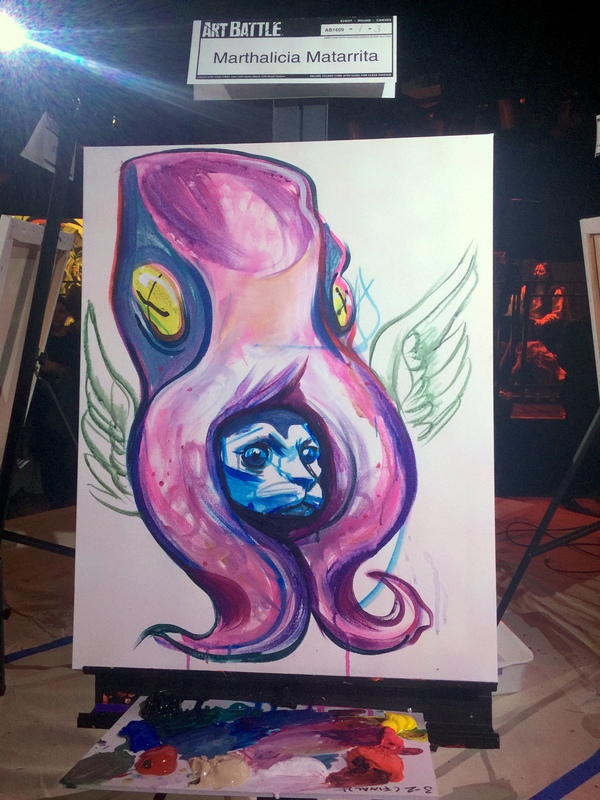 Kieren and a Wildcard drawn from names thrown into a hat upon entry. 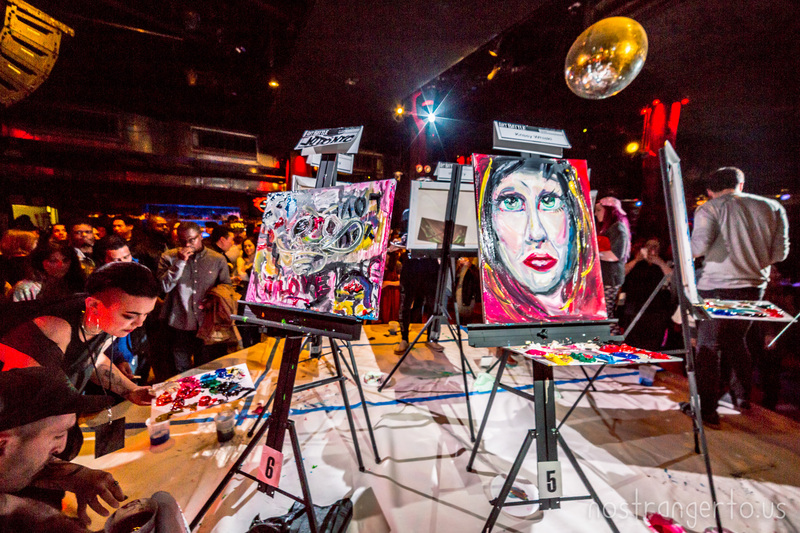 Shout out to our good buddy Soren Hansen for the lead on this fun combination of art, competition, theatre and adult beverages!